Save time by adding day breaks automatically to your stripboard. On your Stripboard page, click the Auto-Add Day Breaks button. 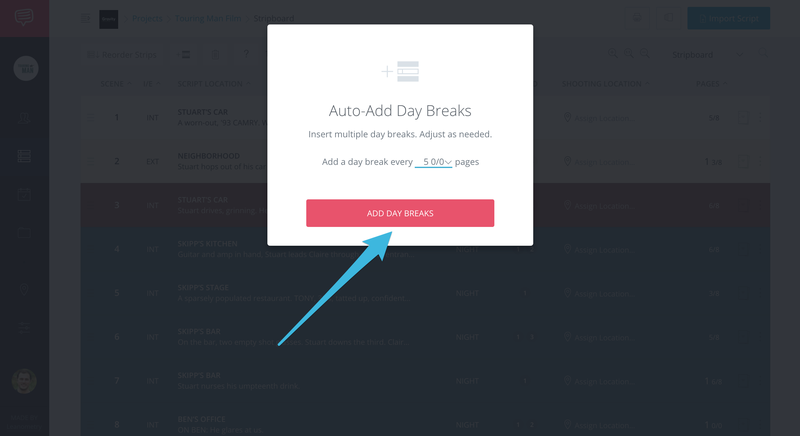 In the pop-up, select how many pages should pass until a day break is added, then click Add Day Breaks. After clicking Add Day Breaks, your stripboard will refresh and you will see your day breaks added after the amount of pages you selected. 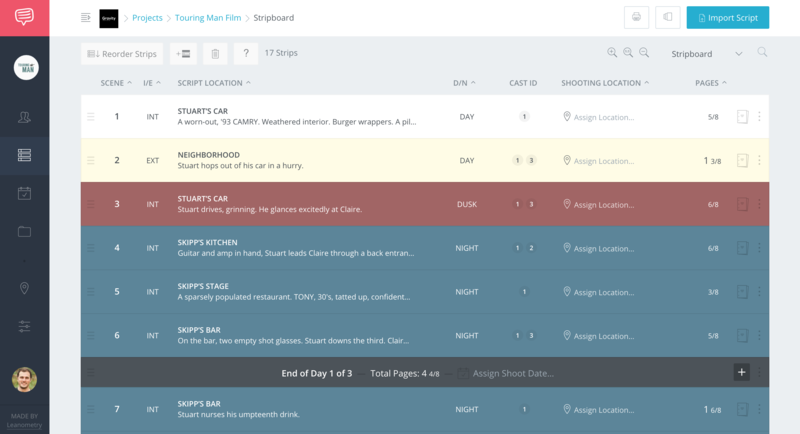 Tip: Adding day breaks will automatically calculate the page count from the scenes listed directly above. Why aren't your day breaks added? First, you must confirm that your schedule contains Page Numbers so that you can add the auto-day breaks based on the page count. 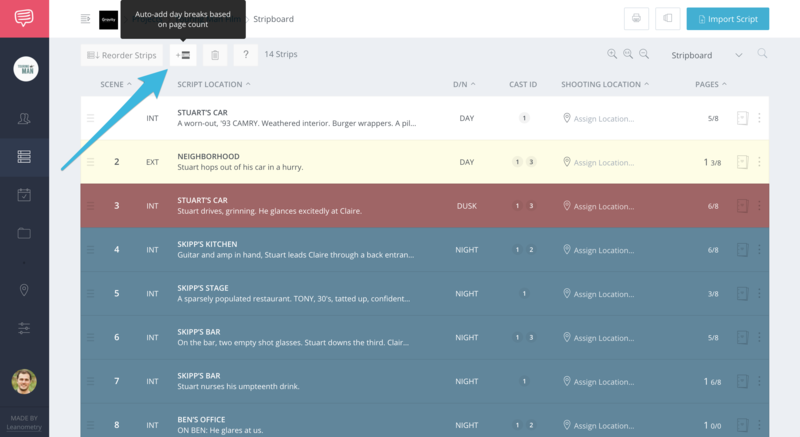 If none of your Scenes contain Page Numbers, there wouldn't be any way to automatically add day breaks.